Snow Patrol are back with a new album and a UK & Ireland tour planned for late 2018 / early 2019. The band will play shows in Newcastle, Belfast, Dublin, Birmingham, London, Leeds, Manchester and Glasgow during the Wildness Tour. How to buy Snow Patrol tickets? 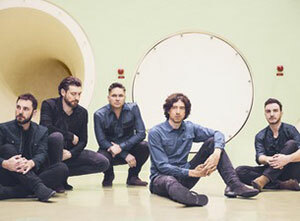 Tickets for Snow Patrol's UK tour dates went on general sale on Friday 8th June, priced from £45 plus booking fees, at Ticketmaster.co.uk.